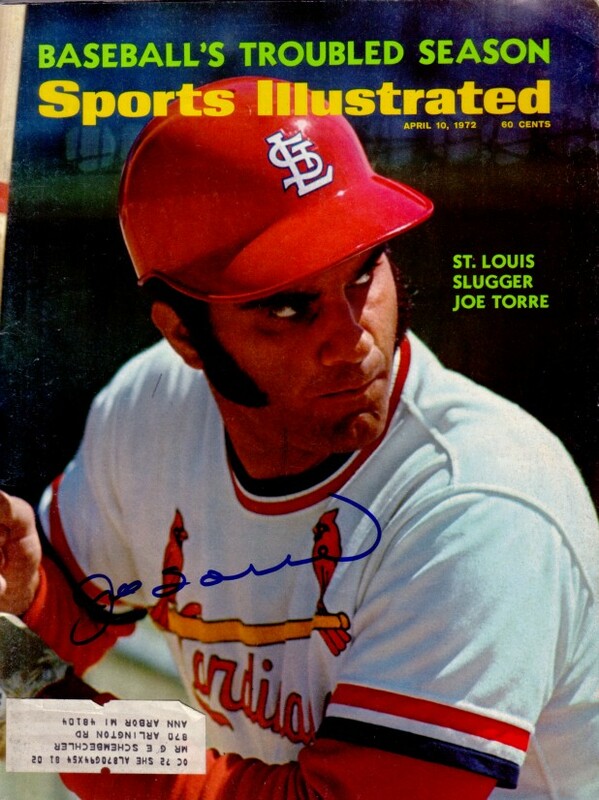 Complete 1972 Sports Illustrated autographed in blue marker by former St. Louis Cardinals star Joe Torre, who went on to a Hall of Fame managerial career. 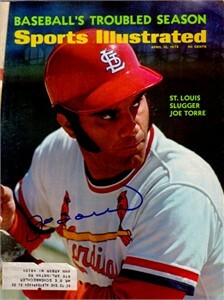 Has label and very minor wear, in superb condition for its age. Obtained in person at celebrity golf tournament many years ago, with certificate of authenticity from AutographsForSale.com. ONLY ONE AVAILABLE FOR SALE.